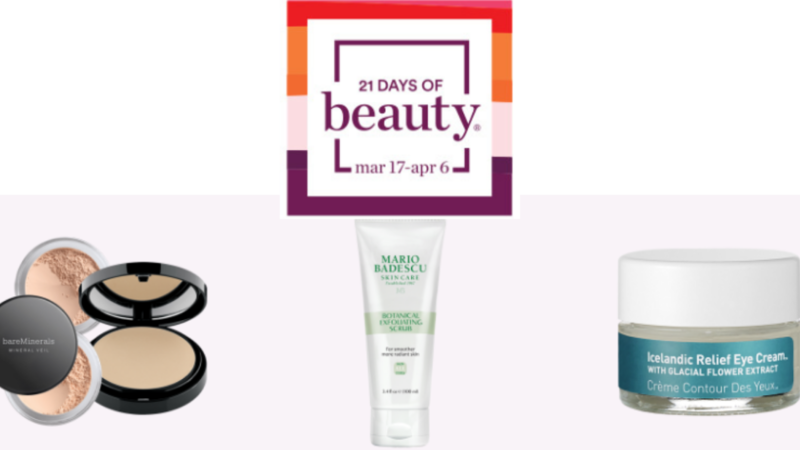 Shop the 21 Days of Beauty Event at Ulta through April 6th! Today’s special deal is 50% off bareMinerals Mineral Veil Powder, Mario Badescu Exfoliating Scrub, Skyn Iceland Eye Cream and Dermablend Liquid Foundation. Check back each day to see which Beauty Steals are available. Plus, if you’re an Ulta Diamond or Platinum member, you’ll get Free Shipping on your Beauty Steals! Beauty Steals are today only deals and change each day.